A Bon Bon Box is the perfect way to present a small gift to someone you love (like Mum for Mother's Day or a good friend for their birthday). 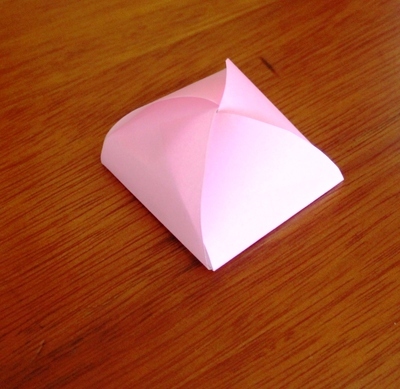 These are not difficult to make once you get the hang of where to make the lines and how to cut and fold the paper. You could make these quite large or super tiny - just experiment with the paper or cardboard if it needs to hold something slightly stronger. 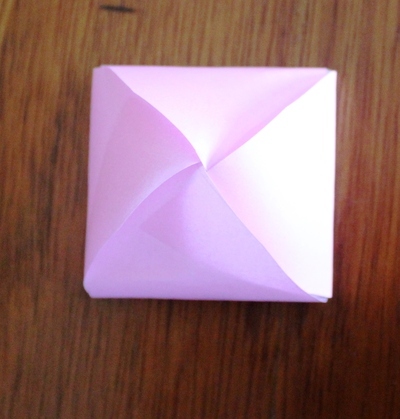 I used origami paper, which worked perfectly, but these would even work using newspaper, so let's start folding. 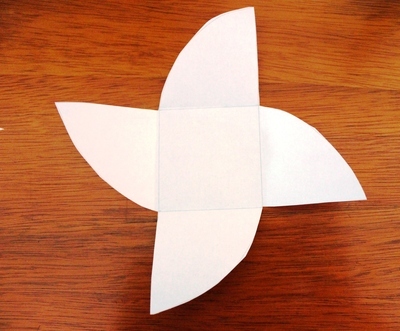 Choose some pretty paper and measure a square. Divide your main square into nine smaller square sections, as shown in the picture above. 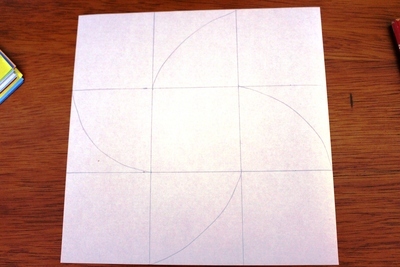 Then draw in a curve in the four main directions - this is where you will cut. Cut along the curves and eliminate the corners, as shown in the picture above. Now you have your first Bon Bon Box. Are you ready to make some more?